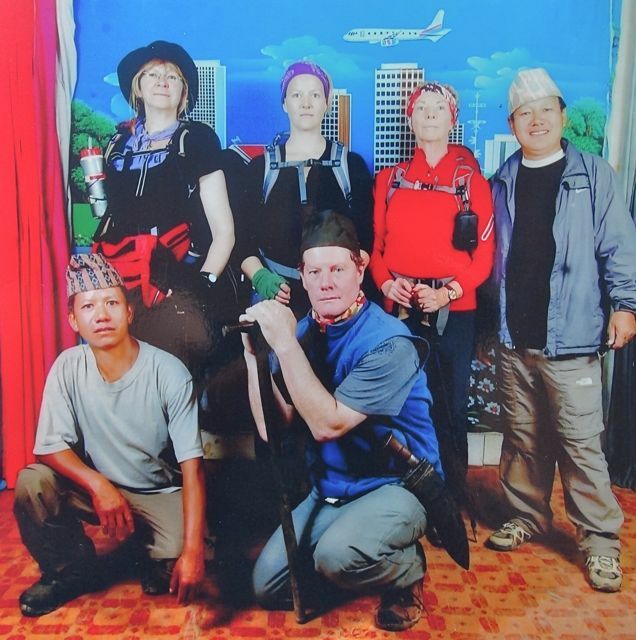 What happens when an expedition leader gets curious about her fellow Nepali guide’s home life? Beyond the Smile is a story about love, sharing and discovering what difference a friendship growing over mountains, cultures and continents makes to the lives of people touched by it. It has been a few years now! I know! That’s what happens when you live the story you want to share! I am honoured and grateful for the faith and support of many crowdfunders ( see doco contributors), as well as that of the Documentary Australia Foundation, the Shark Island Foundation (a thousand thanks to SIF! ), the Seanchai Foundation and Rode. Filming in Lura led to fundraising through my website to run a two parts literacy program, and the first part of an empowerment program. That’s thanks to a bunch of loving people who have been helping with donations and time over the years. All that since 2007. As I worked each year as a trekking/climbing guide in Nepal, I was able to stay on, live and record the story as it developed in unexpected ways. This certainly has been a life changing adventure for all concerned. And from now on, it can also include you! More than $30,000 may be needed if we decide on television broadcast standards, the establishment of an education resource, and marketing. I have no doubt that this will materialise. This has been, and remains, a labour of love, which I simply want to give more time and resources to, in order to honour the people of the Gyamdamda Community Forest ( where Beyond the Smile is happening) and our Family of Friends. To share an experience that anyone can have, where ever they are. If the full amount is not raised, we will still be able to use your contributions, climbing this ‘mountain’ with you as part of the team. Regardless of the amount raised, I am committed to making this happen. I have faith! If we go over the amount, the funds will be used towards the establishment of a community development program, devised with the people of Lura. It could start with an organic kitchen garden and sustainable forest resources business, which will have the potential to increase villagers’ knowledge, revenue and health. Whatever it is, the emphasis is to come up with a work structure that can be used in many places. And what did I work on before BTS? Camera and associate producer: Alone across Australia, Shark Island Productions 2002. The film has won more than 25 awards and has screened at over 60 international film festivals. It recently was listed as one of the 20 Best Adventure DVD’s of all Time by “Men’s Journal” magazine in the US. Camera: the Eighth Summit ’SBS Independent, 2005. Lho La 05 a clip based on the first successful World Expeditions commercial trip to the pass at the foot of Everest in Tibet, 2005. Ballroom Bliss segment in ‘Dancing in the Wimmera’, produced by Jaqui Schultz, 2006, screened at the Horsham Regional Art Gallery.